I’ve been waiting on pins and needles for my first book review and here it is. I’m over the moon! It’s from Booklist. Share my excitement! My husband loved the steak knives comment. Haha. 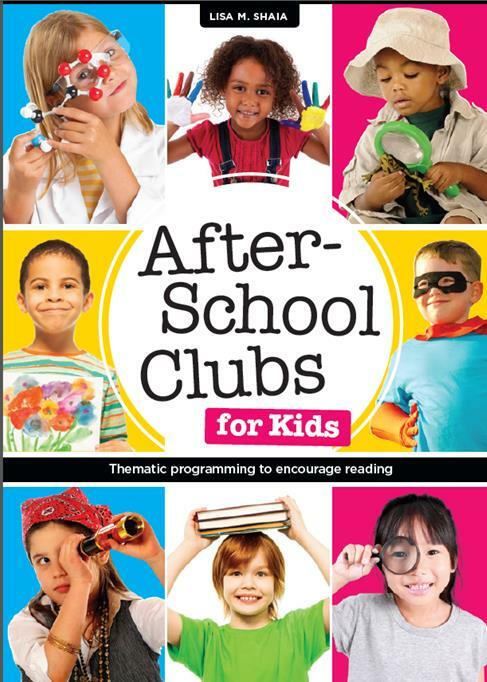 After-School Clubs for Kids: Thematic Programming to Encourage Reading. Feb. 2014. 208p. illus. ALA Editions, paperback, $45 (9780838912027). 028.5.
REVIEW. First published May 22, 2014 (Booklist Online). Ha! Where ARE the steak knives? Go you!!! I need Bryce to find a gif for me. Haha! Maybe an old QVC clip. Did Mike Rowe ever peddle them? Thanks, Carol! I love your ideas, too! This entry was posted on June 19, 2014 by mrsshaia in After School Library Programs, Professional Development and tagged After School Library Programs, Professional Development.